The Imbus Roofing Co. was founded by Henry Imbus in 1873 as a stove store and tin shop on fifth street in downtown Cincinnati. It has evolved in to a leading roofing company in the Cincinnati area. Being able to showcase their work was important for them. So high quality visuals of their past work was a must. 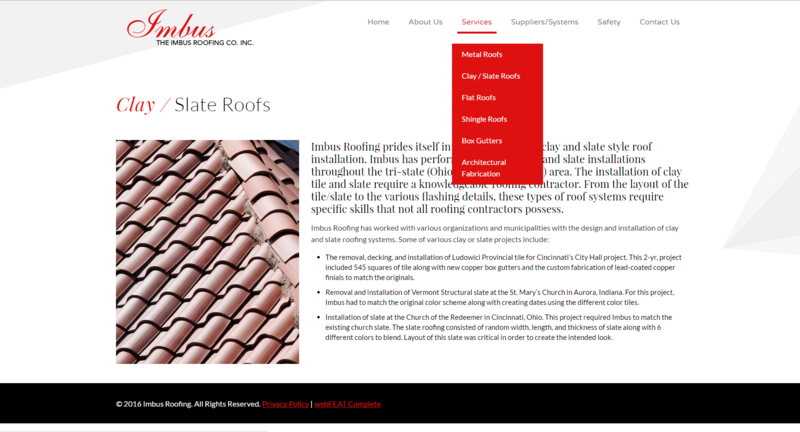 The main thing that Imbus Roofing wanted to accomplish was to better showcase their previous projects in a way that was attractive to the user. 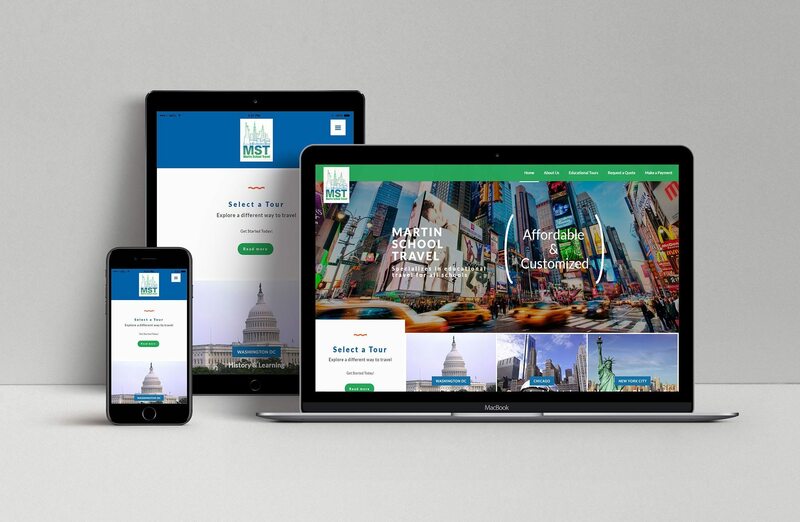 The other big thing that was very important to them was they wanted to clarify their multiple different services in multiple different markets around the tri-state area. It was also important to flesh out their old content on their previous website. 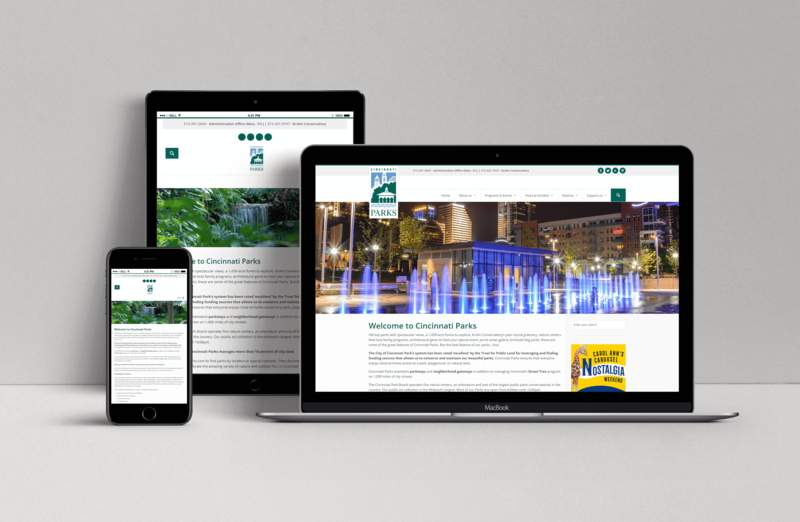 It was a little bit thin and some better content would help their website perform better in search. 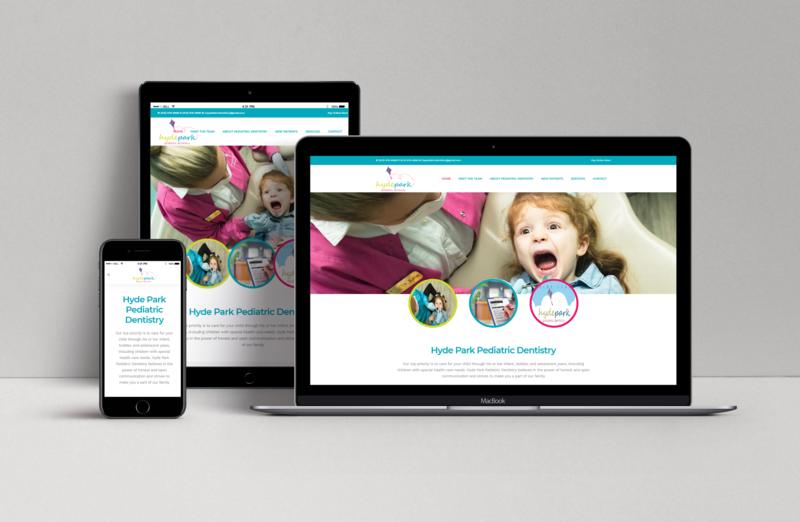 The main thing we focused on was giving them a better project portfolio with fantastic images. This lets the user see the work that Imbus can do instead of just reading about it. Along with the updated pictures the entire site is more modern and clean making these images pop even more across the site. We also broke out the services onto individual pages to clarify their respective focuses. Finally, our in house SEO team fleshed out the content across the board so it’s more easily digestible to a user as well as to search engines. We replaced the small, low quality images with big and beautiful high quality images of their work. 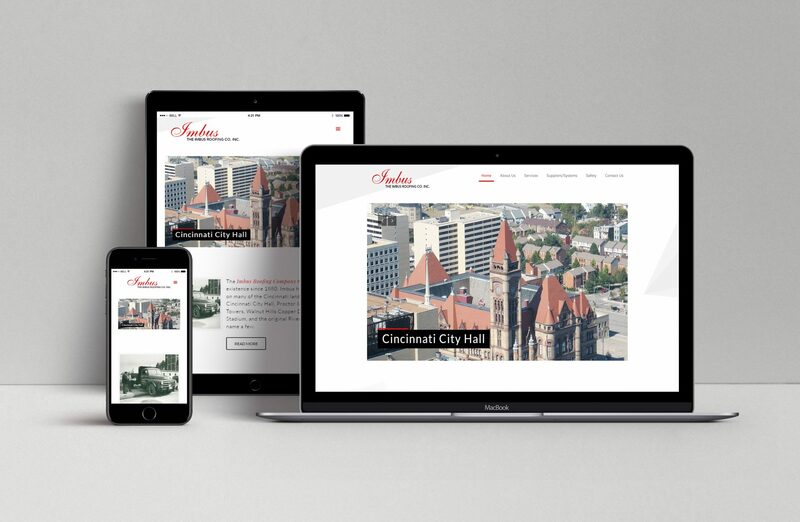 These help showcase their previous projects in a much more visually appealing way. 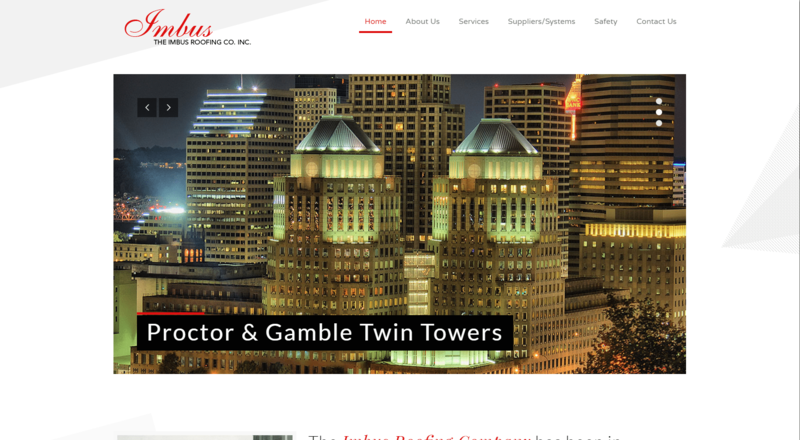 To better clarify the services that Imbus Roofing provides we have divided out everything onto separate pages with clear explanation of what each service entails. This makes it easy for a user to learn more about a particular service without the need to see every service provided. 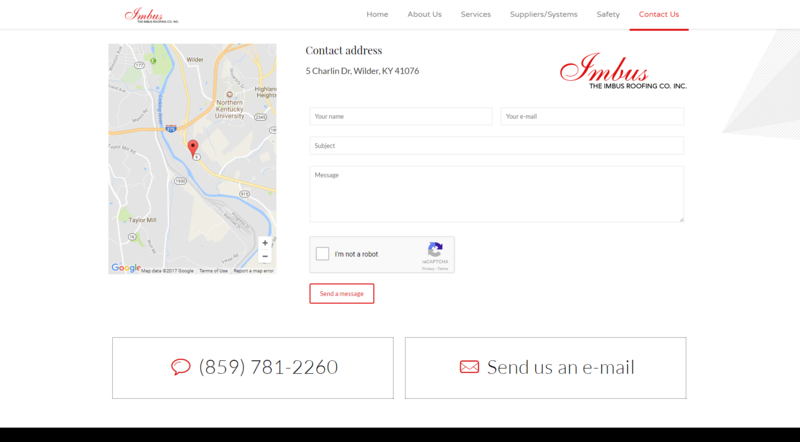 A simple, straightforward Contact Us page give the user multiple ways to contact Imbus for more information. A map on this page is great for mobile users as it lets them simply click on it to get turn-by-turn GPS directions.